Black Friday. It's that time again... 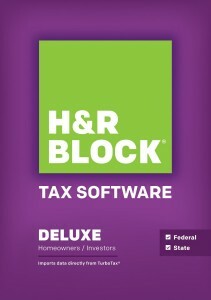 Hurry, Amazon has a H&R Block 2018 Tax Software Sale. Free downloads. All are Windows or Mac downloadable. State e-file costs extra, but you can just print it out and mail it in! Tax software goes up in price the longer you wait! Import of your W2, 1099 and last year’s tax return from H&R Block, TurboTax and Quicken software.